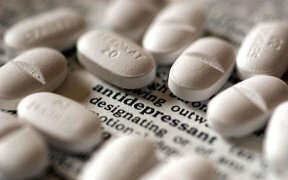 One in six Americans take some kind of psychiatric drugs — mostly antidepressants, researchers reported Monday. They also found that twice as many white people take those drugs as do African-Americans or other minorities, and fewer than five percent of Asian-Americans do. And most people who take them are taking them long-term, Thomas Moore of the Institute for Safe Medication Practices in Alexandria, Virginia and colleagues found. “Overall, 16.7 percent of 242 million U.S. adults reported filling one or more prescriptions for psychiatric drugs in 2013,” they wrote in the Journal of the American Medical Association’s JAMA Internal Medicine. Twelve percent said they took antidepressants; 8.3 percent took anxiety drugs, sedatives or sleeping pills and 1.6 percent took antipsychotic medication. “Large differences were found in race/ethnicity, with 20.8 percent of white adults reporting use versus 8.7 percent of Hispanic adults,” they added. About 9 percent of African-Americans reported taking one or more psychiatric drug. 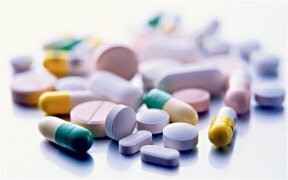 “Most psychiatric drug use reported by adults was long term, with 84.3 percent having filled three or more prescriptions in 2013 or indicating that they had started taking the drug during 2011 or earlier.” The study just looked at the numbers and didn’t look at why people are taking the drugs. But Moore expressed concern that so many people were taking habit-forming drugs, such as Valium or Xanax, long-term.